This beautiful blue martini recipe is an excellent addition to any party and its sour tropical flavor is a delight. 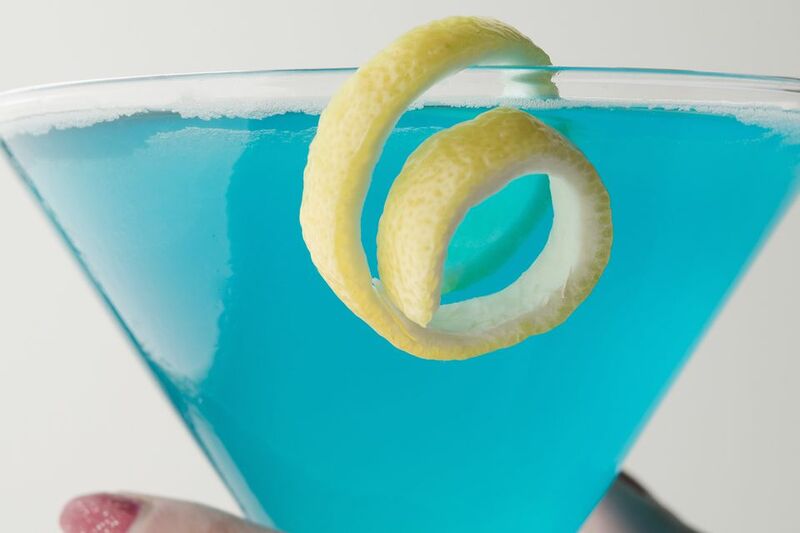 The deep blue sea martini is made up of vodka, blue curacao, sour mix, and pineapple juice. While any orange liqueur you have in stock will create the same taste, you will not obtain that blue color unless you use the ever-essential blue curacao. Pour the vodka, sweet and sour mix, blue curacao, and pineapple juice into a cocktail shaker filled with ice. The strength of this martini may vary a bit depending on the blue curacao you choose. For this example, we're going with the average, a 60-proof liqueur and mixing it with the 80-proof vodka. In this instance, the deep blue sea martini will be right around 22% ABV (44 proof). It is not the lightest cocktail you'll mix up, but right around the average for a fruity vodka martini. Blue is a fun color for cocktails and there are a few ways to get the color into your drinks. The easiest is to use a blue liqueur like Hpnotiq or blue curacao. Psychological studies have been performed on why people are attracted to foods based on their color. Drs. Stephen Palmer and Karen Schloss of the University of California at Berkeley published an article in 2010 in the Proceedings of the National Academy of Science in which they posit that, in general, people favor colors associated with clear sky and clean water—like blue and nothing could be bluer than this cocktail! How Do You Like Your Banana Split Martini? Mango in Your Blueberry Martini? Trust Us, It Works!